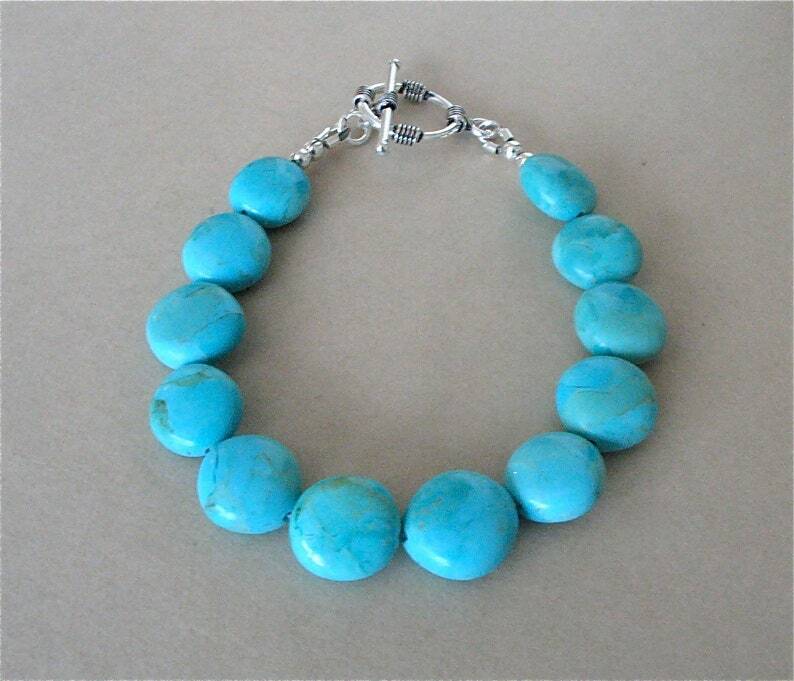 Here's a nice chunky turquoise bracelet. The turquoise is from the Kingman mine here in Arizona. The beads are 12mm coin beads, each bead almost as large as a dime! Please take a look at the last photo where I have placed a dime next to the bracelet so you can see the size of the beads. Finished off with a Bali silver toggle clasp. The total length of the bracelet is 7 1/4 inches. Because if its chunkiness it will fit a 6 1/2 - 6 3/4 inch wrist very nicely.